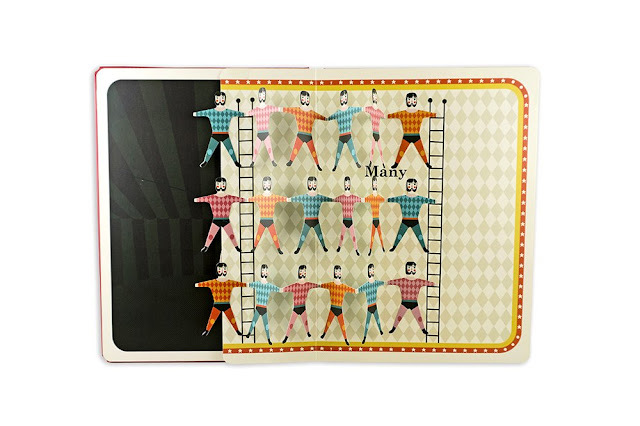 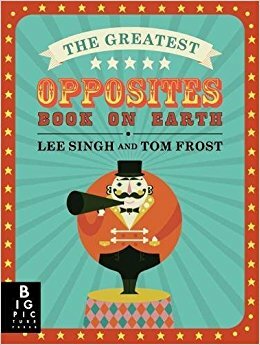 The Greatest Opposites Book on Earth by Lee Singh and Tom Frost is an oversized board book with flaps to lift and unfold and even a pop-up or two. 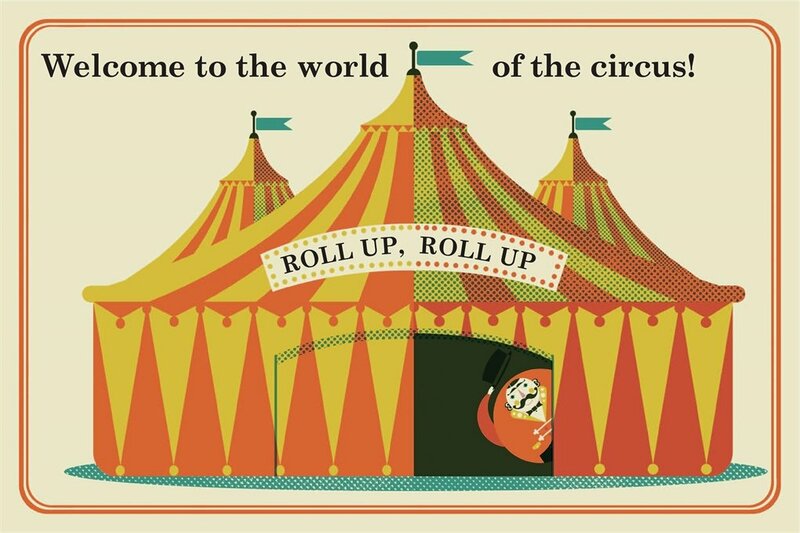 Lift the flap to the circus tent and head inside. 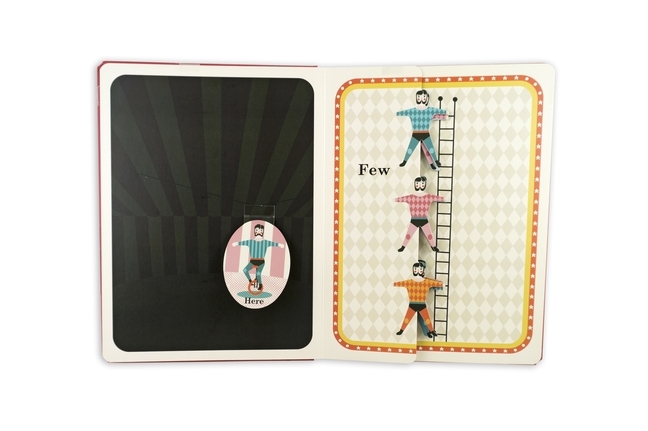 Wet and cold, same and different, here and there, near and far and few and many are among the pairings in this well designed book. The retro illustrations and color palette give The Greatest Opposites Book on Earth the feel of an art book, almost more than a children's book and, while you may sometimes find yourself wishing for the thinnest narrative strand to connect the pages, this is still a book you will find yourself reading, or being asked to read, more than a few times.